Fresh flooring can transform a room—but it doesn’t come cheap. If you’re looking to save money on your upcoming remodel, removing your worn-out vinyl or linoleum yourself is a great way to keep more money in your budget. 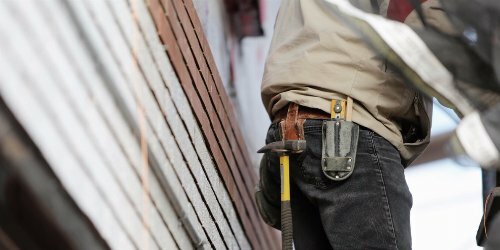 This job requires patience and a good bit of elbow grease, but as long as you’re up for the physical labor, ripping out old floors is a project the average homeowner can accomplish within a weekend. The process for removing both materials is about the same, so follow the steps below to learn how to remove vinyl or linoleum the DIY way. When vinyl and linoleum are installed over a wood subfloor, which is the case in most homes, the most time-consuming aspect is removing the adhesive left behind—which we cover in step four. The rest of the job is pretty straightforward. Ready to get to work? Before we get to the main event, there are a couple of prep steps you’ll need to complete. 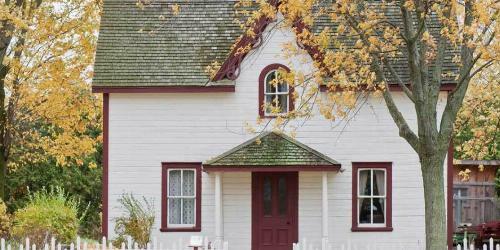 You probably already have most of these on hand, but anything you’re missing can be bought or rented pretty inexpensively from your nearest home improvement store. You may want to consider renting a 10 yard dumpster for this project. Sheets of linoleum are too heavy to bag up with your regular trash—especially if you’re working on a large room. And if you’re also remodeling other areas of your kitchen, you’ll need a convenient way to get rid of the bulky items like cabinets and countertops that your trash service won’t take at the curb. Before you can pull up the flooring, remove all the baseboards in your room. If you plan to reinstall them once your new floor is laid, be sure to mark the back of each piece with its location. Wiggle your pry bar or chisel between the baseboard and the wall starting in a corner. 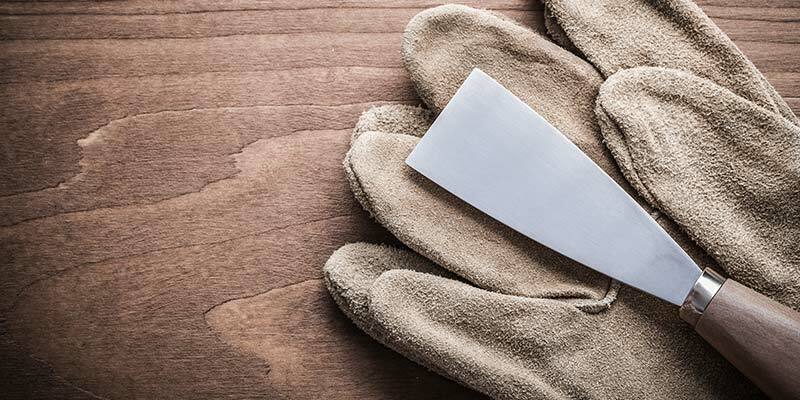 If desired, slide a piece of wood or cardboard behind your tool to avoid scratching the wall. Pry with gentle, steady pressure until the board separates from the wall. Remove any nails with your pliers once you can reach them. Store baseboards away if you plan on reusing them. Important Safety Tip: If your floor was laid before the 1980s, the adhesive may contain asbestos. To test yours, cut away a small piece, wetting it and the underlying adhesive with water as you pull it up. Bag it and take it to an asbestos abatement company. In most cases, vinyl and linoleum are only glued down along the perimeter of the room. This makes the majority of your removal pretty simple. 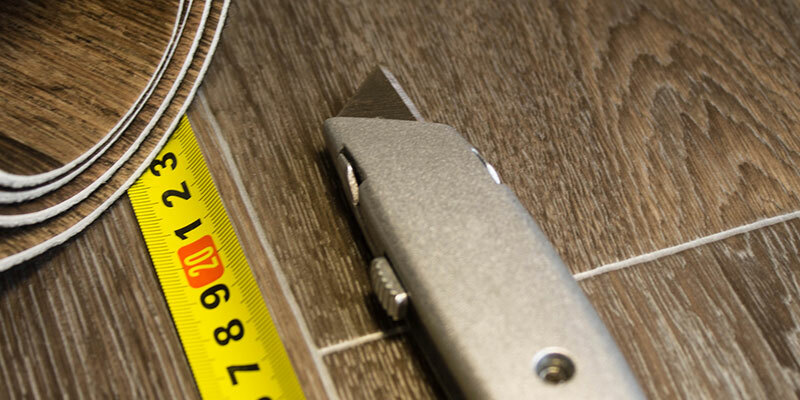 Measure 10 inches from the wall and cut through the vinyl or linoleum with your utility knife, moving parallel to the wall. Use your utility knife to slice this cut-away center into strips. Keep strips less than 18 inches wide and a few feet long to prevent them from getting too heavy and unwieldy to carry out of the room. Now it’s time to remove the portion of your vinyl or linoleum that was glued down. You’ll probably need to put your back into it, so work at a comfortable pace and take breaks whenever you need. 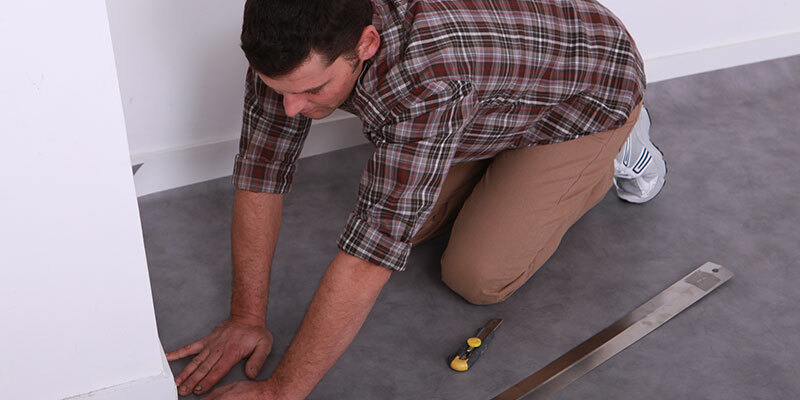 Work your pry bar along a section of the flooring to begin loosening the edge. 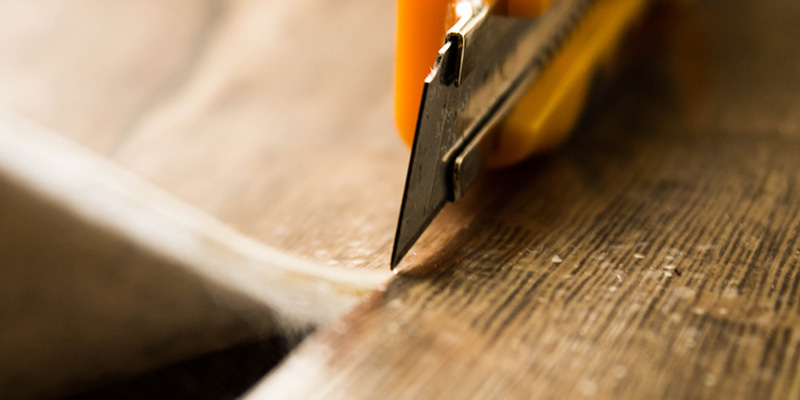 Use your chisel or putty knife to chip away more adhesive once you’ve pried enough away to get under the edge. When there is enough loose for you to get a grip on it, pull firmly back until you can’t peel away any more. Cut off the loose strip with your utility knife and move it out of your work area. Repeat these steps until you’ve removed all the remaining flooring. Pro-Tip: If the adhesive is too hard to chip away if with a chisel or putty knife, fire up your heat gun. Apply it to the adhesive until it softens enough for you to peel back the flooring or continue chipping. Once the flooring is gone, you’ll need to get rid of the leftover adhesive. If you don’t remove the linoleum glue from the underlying plywood, it will be difficult to properly install your new floor—you can even void its warranty. This will probably be the most time-consuming part of the project, so give yourself plenty of leeway for breaks. Turn the heat gun on low and allow it to warm up. You can raise the setting later if necessary. Starting at one corner of the room, apply the heat gun to a section of adhesive until it softens. Scrape the softened adhesive away with your putty knife. Repeat these steps until you’ve removed the glue from the entire room. Pro-Tip: If you need to speed up this step, consider renting a floor scraper. Time for Your Brand New Floor! Now that you’ve removed your uninspiring vinyl or linoleum, you’re one step closer to a transformed floor. Still on the fence about what to replace the old stuff with? Check out our guide to choosing the best flooring for your family. 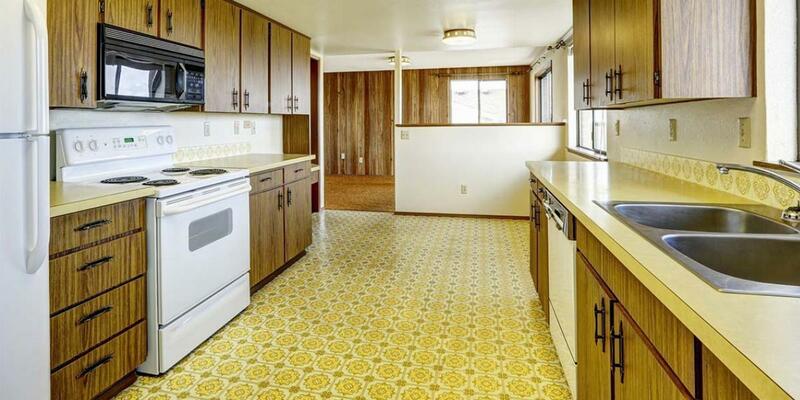 Removing the old linoleum as part of a bigger kitchen remodel? Keep our complete kitchen demo guide on hand for your next project. Looking for a professional and reputable contractor for your home remodel? Follow these five steps to find the right contractor for your next project.